#WhenIWas15, the hashtag of LinkedIn’s 15th birthday triggered the memory of one of my worst nightmares, dyslexia. From a young age I desired becoming a school teacher. I didn’t consider any other career options because my mind was firmly made up. However, when my Matric year end results didn’t qualify my entry into Teacher’s Training College my dream was unceremoniously squashed splat! I was truly disheartened, and hated this dyslexic affliction. Living with dyslexia is stressful – very, very stressful, and confusing too. Particularly as a teenager, I felt so awkward and stupid compared to my peers. This caused enormous embarrassment in the classroom along with untold anxiety and trauma. Truthfully, dyslexia is darn right humiliating especially because I’d blush profusely when asked to read anything aloud. 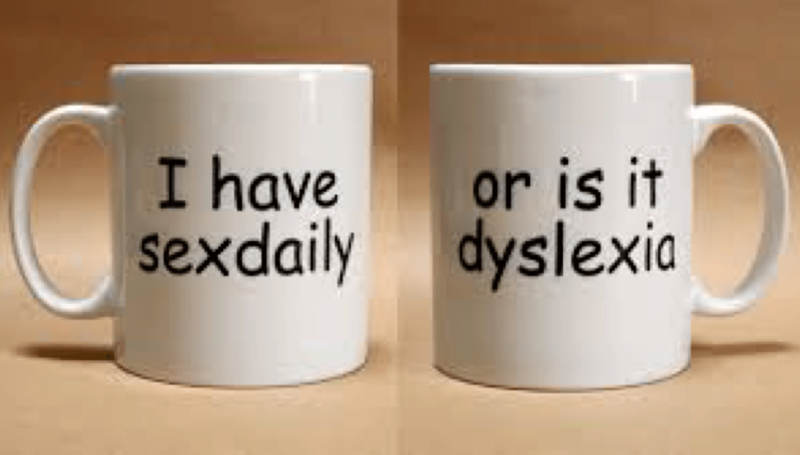 To add to a dyslexic’s woes parents, teachers and peers also think you’re either lazy, incompetent or both. They’re constantly coaxing you to try harder when you know you’ve done your best. Being completely misunderstood, and then labelled, is cruel. My only saving grace was excelling on the sports field, where I channelled all my pent up frustration and unspent adrenaline into winning. With or without my dyslexia, my school years were horribly stressful and traumatic. At six years old I was sent to boarding school knowing nobody and by age eight or nine, I developed duodenal ulcers. In primary school I also discovered, via a gleeful gossipmonger, that my father was having an affair with one of the school teachers. Subsequently his ongoing shenanigans, and ultimately, my parent’s divorce became the humiliating talk of the village farming community. Utterly gutted, I felt deeply tormented by my father’s selfish behaviour. With my teaching career dreams squashed, I had little choice but to carve a very different career in Banking. Thankfully this meant moving to a city away from the gossip-ridden village. But amid the city’s hustle and bustle, I simply couldn’t escape the inferior feelings my dyslexia brought up daily. This naturally hammered my confidence and self esteem too. Eventually I had to confront this dyslexic demon that prevented me living a full life. At 26 or 27 years old, now living in Johannesburg, I plucked up the courage and enrolled into remedial night classes at Rebecca Ostrowiak School of Reading where they had a reputation of “teaching the unteachable”. I was desperate to improve my reading, writing and comprehension abilities. I reckoned even a 10% improvement would be a great achievement. As determined as I was, I have to admit I was filled with dread, fear and stress going into every night class; my heart raced and palms sweated. After months of feeling embarrassingly awkward, and being the only adult amongst a classroom full of teenagers, I was informed my dyslexia was in fact something else; a mechanical eye problem caused by … childhood stress. The specialist optician I was referred to confirmed childhood stress had caused my eyes to bounce or jump, moving uncontrollably whenever I tried to read something. Instead of reading each individual letter that formed words on a single line, my eyes jumped all over the place randomly picking up letters and or words from other lines. Naturally my brain then interpreted the information received as a garbled mess, and the output wasn’t any better. Holy moly, what a revelation! No wonder I displayed typical dyslexic symptoms throughout school. How I never failed a grade was quite beyond me – I suppose paying careful attention, listening and having a good memory has its merits. Perhaps those were the hidden benefits of dyslexia, and to compensate, I’d innately developed other skills. Fortunately, the stressful night school stint came to an abrupt end. But, now I faced several months of disciplined practise to retrain and stabalise my eye movements. It wasn’t easy or fun doing the daily mind-numbingly boring exercises. They also made me tire easily, and at times, I felt giddy too. Although I’d worn glasses from about 9 or 10 years old, and then contact lenses, my eyes were now undergoing very different mechanical adjustments. Initially I almost gave up because this was an overwhelming process. But after the first reassessment, the small improvement was such that this motivated and inspired me to keep at it. Several months later my determination paid off – a totally new world opened up before my eyes (pun intended). I could finally read, write and comprehend with greater ease. Magazines and books soon became my new “friends”, and I had a lot of catching up to do. Today, I’m finally a teacher! As a Stress Consultant, I teach clients profound and beneficial stress relief techniques that took me decades to uncover. Why? Not only did these help me, but having had a pretty stressful life, I certainly understand the debilitating pain and suffering stress causes people. As I can attest, stress can completely destroy dreams, wishes and desires, including relationships, health and wellbeing, and the delicate work-home-life balance too. Today, I’m also the author of three books, with several more in the pipeline. Who would have thought this dyslexic could achieve that?